Spring is calling, and so are the great outdoors. New and seasoned campers alike are thinking about to where the road may take them this year. Although fuel prices may be low, the amount of money you spend on gas can still take a big chunk out of your vacation budget, especially if you’re travelling in an RV. Fortunately, new in materials and technology, such as fiberglass panels and lightweight insulation,have paved the way for lightweight RVs – a specialized breed of RV made for easy towing and lower fuel consumption. Because of their design and construction, lightweight RVs don’t require a heavy-duty towing vehicle, and that opens up the RV experience to many more camping enthusiasts. Road travel trailer and SUV driving on forest area road. Family traveler truck summer trip concept. RV travel landscape poster. Camper on road trip. Lightweight RVs are exactly what their name implies – RVs constructed with lightweight materials and components. Because of their reduced weight, they don’t require an expensive, fuel-guzzling, heavy-duty towing vehicle. They’re designed to be pulled by lighter-duty vehicles, such as half-ton pickups, SUVs, and even some cars. Lightweight RVs are available in most camper styles: Pop-up, travel trailer, toy-hauler, and fifth-wheel.There is even a “hybrid lightweight,” which features a solid body like a travel trailer but has expandable canvas areas for additional room. Beyond the basic styles, there are two categories of lightweight RVs – lightweight and ultra-lightweight. No hard-and-fast rules differentiate the two, however, each category comes with a few distinctions. Lightweight RVs, generally speaking, weigh 800 – 1,200lbs less than their counterparts with full floorplans. Because they are weightier of the two categories, they may include slide-outs, which are rooms that slide out from the main section to expand the living area.Ultra-lightweights, on the other hand, usually weigh 2,000 – 3,500 lbs less than their counterparts. Their weight is kept to a minimum so they can be towed by smaller SUVs, jeeps, and even large cars. Because weight is so critical to their design, they are often smaller than the lightweight RVs and usually don’t feature slide-outs. Lightweight RVs are a great choice for many campers because they’re easy to tow, even in hilly terrain –good news for those who like to take the road a little less traveled. As previously stated, they can be towed by many kinds of vehicles, so investing in a heavy-duty towing vehicle is not a requirement. That being said, ALWAYS consult the towing specifications in your owner’s manual before purchasing a lightweight RV. Remember that the weight limits stated refer to a towing weight after packing. It’s easy to stow several hundred pounds of food and gear, especially if you’re going for more than a weekend jaunt. If you don’t factor that in, your vehicle’s transmission could be subjected to additional wear and tear and your wallet to some substantial repair costs. Because lightweight RVs weigh less than standard models, you’ll have less fuel costs when towing them. Plus, they’re often more aerodynamic than their heavier counterparts. But for some campers, a lightweight RV is not the best choice. If you plan to be a full-time RVer, or have extended travel itineraries, you’ll most likely be better off with a standard-weight RV. Yes, they feature heavier construction, but that makes them more durable over the long haul(s). Also, if you plan to stay in very hot or cold regions, a lightweight RV might not remain as comfortable temperature-wise as a standard RV because they’re made with less insulation to keep their weight down. Speaking of weather, if towing a vehicle in windy conditions is a concern, consider the RV’s “sway factor.” You’ll get much less sway when you tow a standard RV than a lightweight one. Finally, if you’re a camper who needs lots of space in your great indoors, a lightweight RV might the ideal choice. Their compact designs tend to be just that – compact. So make sure you’re going to have the room you need before signing on the bottom line. 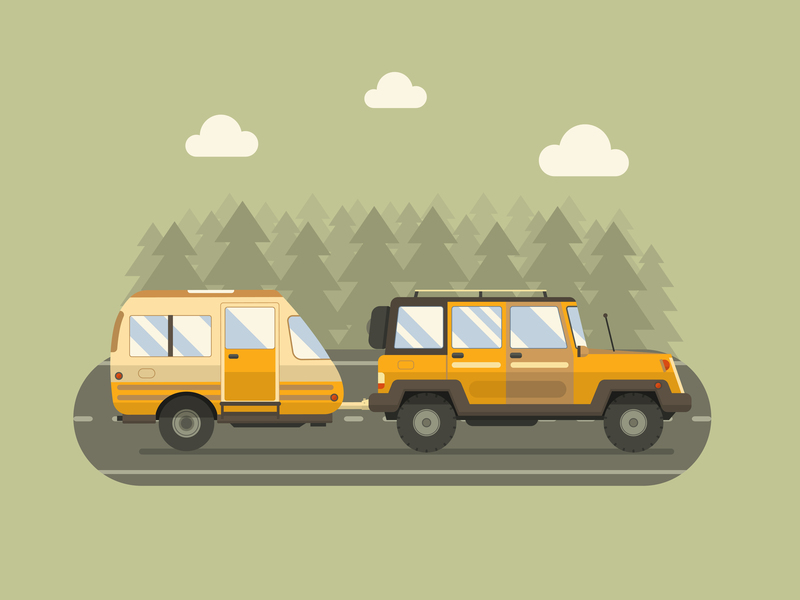 Which lightweight RV is best for you? Now that you understand some of the benefits of lightweight RVs, deciding exactly which RV is right for you depends on several factors, including your travel agenda, budget, and personal style. Here are a few more tips and considerations to help you make your choice. Pop-Up Trailer – Small in size (though some can sleep six), the pop-up is the smallest, lightest member of the trailer family. It’s also the most economical to own, with prices for starting as low as $4,000. Pop-ups are great for weekend trips and occasional longer trips by determined families. Most pop-ups are lightweight by nature, and can be towed by many kinds of vehicles. 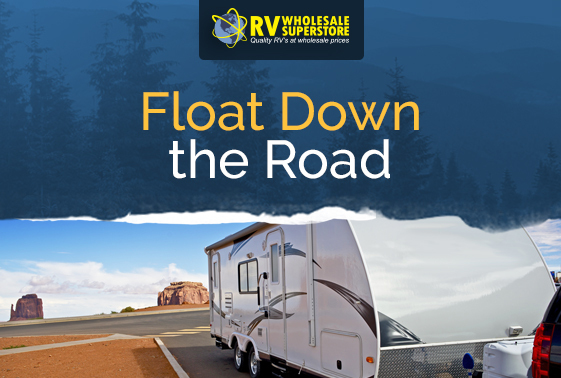 Note: RV Wholesale Superstore has many high-quality pre-owned pop-up RVs in stock throughout the year. Love the great outdoors and full camping experience – condensation/cold/heat included. Don’t mind a little campsite setup time. Can’t afford a full-sized towing vehicle. Mini (Lightweight) Travel Trailer – Towable travel trailers range in size from mini “teardrop” units of about 12 feet to 33-foot triple-axle giants. However, the mini lightweight travel trailers tend to be under 23 feet long. The newest generation models offer designer-grade interiors, slide-outs, bunk beds, and built-in generators. Most models in this class can sleep up to six, and prices for new ones start around $9,000. Would rather have a something more substantial than canvas between you and the elements. Want minimal setup time at the camp site. Have a towing vehicle larger than a small car. Need a little more interior space. Lightweight, Expandable Hybrid RV – Can’t decide between a pop-up camper and a lightweight travel trailer? You don’t have to. Expandable hybrid RVs feature the rigid body of a travel trailer with expanding canvas areas, usually sleeping compartments off the front and/or back. You get the full canvas-camping experience with less setup time and a little more between you and the elements. Hybrid RV prices usually start around $13,500. Lightweight Sport Utility RVs (aka: Toy Haulers) – The newest member of the trailer family, the Sport Utility RV is often referred to as a “Toy Hauler” because of the garage area built into the rear. This space can be used for hauling motorcycles, ATVs, and personal watercraft, which are separated from the rest of the trailer by a solid wall and an access door. Once your “toys” have been unloaded, the garage can then be used for storage or as additional sleeping space.New Toy Haulers start around $22,000. Lightweight Fifth-Wheel Trailers –The fifth-wheel trailer gets its name from the large hitch pin that attaches the trailer to a special mount in the bed of a pickup truck, making it easier and more stable to maneuver than a travel trailer.Fifth-wheel trailers are excellent for long-distance travel and range in size from 18 to 40 feet. They’re known for having spacious floor plans and lots of amenities; expect prices to start for new models around $30,000. Want maximum towing ease and maneuverability. Enjoy lots of space and amenities. Are thinking about extended or long-distance travel. Have a full-sized pickup truck for towing. Whether you’re ready to buy or still deciding which RV is best for you, the professionals at RV Wholesale Superstore are ready to help. Visit us in-person at 5080 W. Alexis Road, in Sylvania, OH or call us at (844) 601-1171.